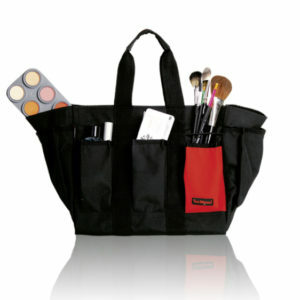 This shoulder square multifunctional make-up bag is coming with vanity mirror on the flap. 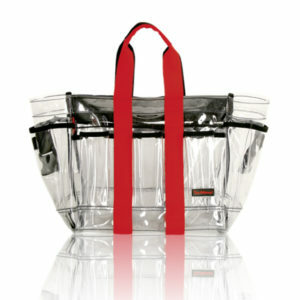 2 side pockets in clear plastic attached, and 1 large polyester pocket. 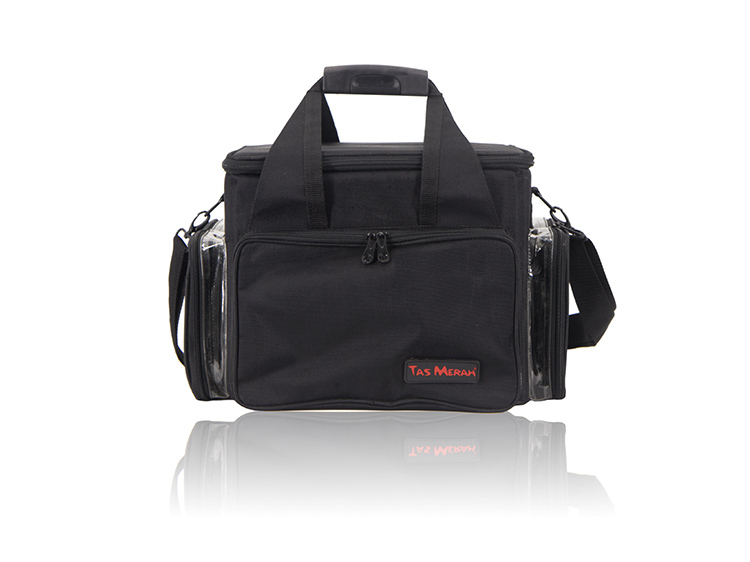 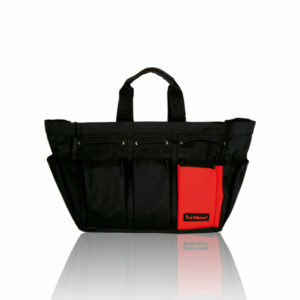 With its deep compartment size makes a few small zipper bag would fit well.